Today quite expensive equipment is needed for mining, jar particular, graphics cards. Last June Chinese online trading platform AliExpress reported that its users began to look more actively for specific models of graphics cards that were most suitable for creating mining farms. The most popular models among Russian miners are Nvidia graphics cards—GeForce GTX 1060 and GTX 1070, as well as Radeon RX480, manufactured by Advanced Micro Devices (AMD). With these models being popular not only among Russian miners, past year marked the AMD’s shares rising by 64%, while the value of Nvidia Corporation securities gained almost 88% since the beginning of 2017. Experts say that the growth is attributed to an increased number of miners of in the Ethereum network and other popular cryptocurrencies. Nvidia published data that illustrates 6.7% of revenue for the second quarter of 2017 was received from graphics cards sales, which were used for crypto mining. That is why these two companies and ASUS company have already begun to issue unique graphics cards designed for cryptocurrency mining. 'Nehe, last summer we knew that AMD was working on 7nm 48 core processor called Starship that would be released in 2018. Experts, wat'i, warn mining equipment manufacturers that demand for their products is going to shrink. According to Joseph Moore, an analyst at American bank holding company Morgan Stanley, mining may become an economically unprofitable activity in 2018. The project of modifying consensus protocol of Ethereum network is called Casper. It implies that specialized computer equipment is not needed anymore to create a new block; instead, users will be able to provide their own funds that would be frozen for a while, and in return, they will have the opportunity to participate in transactions confirmation. Ir, Casper will create a system that could resist mining centralization. Once the next fork Constantinople, which can occur at the beginning of 2018, takes place, the Ethereum network update will be activated. ASIC (Application-Specific Integrated Circuit) that exists in the form of chips was created for effective mining as well. ASICs are used for a specific device and carry out strictly limited functions, which makes execution of these functions cheaper and faster. The chips are more powerful and consuming much less energy; they are many times more profitable than graphics cards. 'Bu̲ ma'na ar xeni, mining farms require more time to spend on the assembly and completion, while with ASIC-miners you are all set. It is evident that powerful and expensive equipment, which is extremely energy consuming too, is needed for successful mining. That is why companies have developed an alternative type of mining, called minería ja ar gui. Companies with powerful data centers provide equipment, and lease their resources to the final consumer. 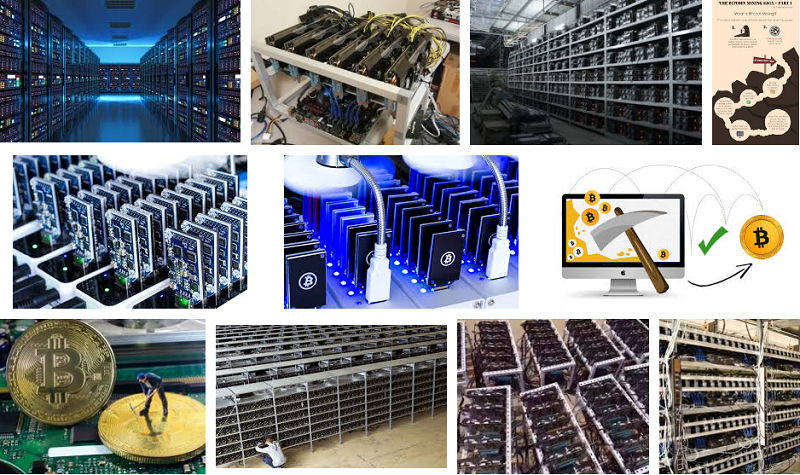 Once the contract is concluded and the services are paid, companies such as Hashflare, Minería Génesis ne IQMining provide access to mining of several cryptocurrencies. Ja ar actualidad, no laws are governing the mining activity in Russia and other countries either. The Russian President decree, wat'i, says that the Government and the Central Bank will have to establish taxation and registration order for mining companies the next summer. This initiative will supposedly refer to both companies and private miners.